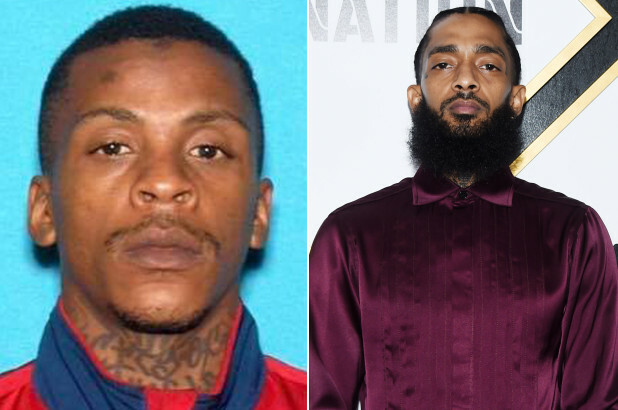 The 29-year-old aspiring rapper who is accused of fatally shooting Nipsey Hussle on Sunday, Eric Holder, was charged during a court appearance Thursday afternoon with one count of murder, two counts of attempted murder and one count of possession of a firearm by a felon. Holder’s attorney Chris Darden, entered a plea of not guilty in the tightly packed, heavily guarded downtown courtroom. After being questioned by Los Angeles County Superior Court Judge Teresa T. Sullivan, Holder made a brief comment, agreeing to delay the next court proceeding until May 10. The judge set Holder’s bail at $5 million. Darden is best known as one of the prosecutors during the O.J. Simpson trial.